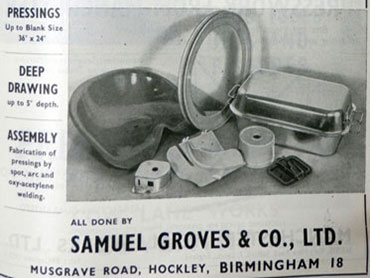 Few suppliers of hospitality products go back as far as Samuel Groves. 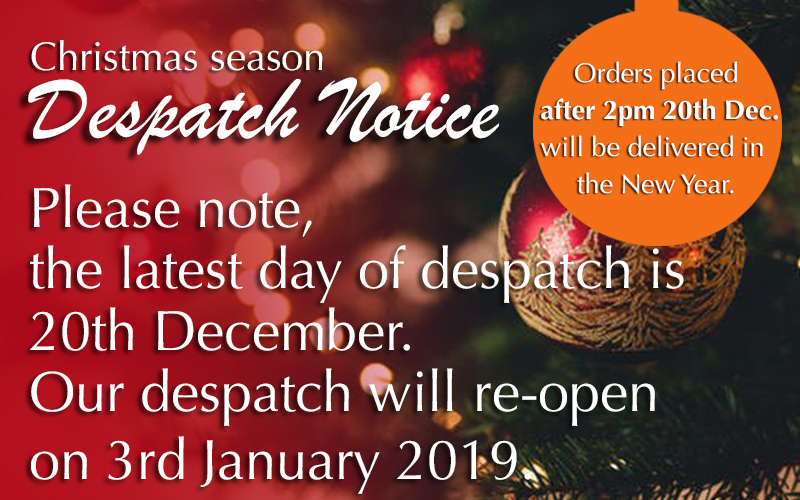 This venerable Birmingham-based manufacturer of kitchen equipment started in 1817, initially making brass candlesticks. By the 1870s, production had expanded to electroplated teapots and trays and it started to become a significant exporter in the 1910’s. The London Gazette 1866 2 February Issue 23065 Notice is hereby given, that the Partnership heretofore subsisting between Samuel Groves the elder and Samuel Groves the younger, of Broad-street Birmingham, in the County of Warwick, Britannia Metal Smiths, carrying on business under the firm of Samuel Groves and Son, has this day been dissolved by mutual consent. All debts owing to or from the said late co-partnership will be received and paid by the said Samuel Groves the younger, by whom the said business will be carried on. Dated this 20th day of January, 1866. Samuel Groves, senr. Samuel Groves, junr. 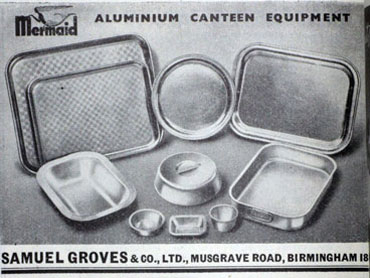 The big take-off into catering supply came during the Second World War when Samuel Groves won a major government contract to produce aluminium trays, with many other items for the Ministry of Works and the War Office soon being added. Including the Sirius incendiary bomb shield, utilising existing serving tray tooling. This helped reinforce the foundations of the modern business, which gained a major boost from the introduction of the Mermaid brand at the beginning of the 1950s, Molly the Mermaid had first appeared in the 1920’s. The MD of the time saw a statue of a little mermaid in an antique shop and brought her back to Birmingham where she took up residence in the foyer of the factory. Her likeness has since proved an enduring logo. 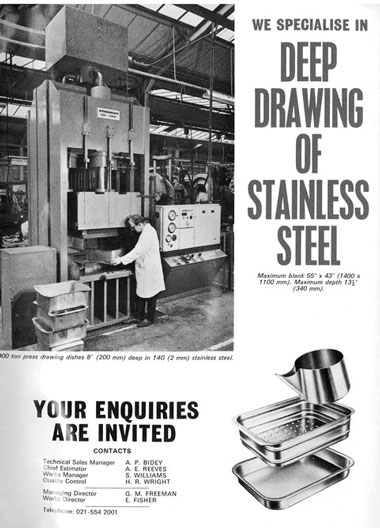 The move into larger premises in Norton Street, Birmingham in 1965 enabled the company to expand its interests in cookware, bakeware, holloware and utensils. 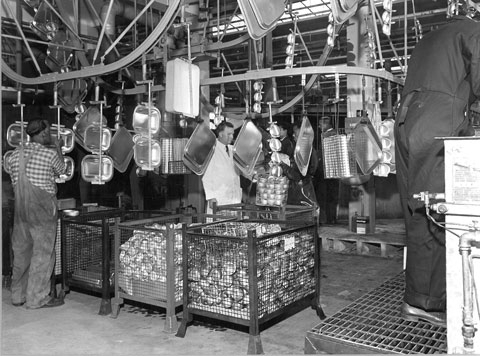 Manufacturing operations were reinforced with the acquisition of the assets of G.W.Pearce & Co in 1995, which led to Samuel Groves becoming the original manufacturer of Agaluxe accessories for Aga Rayburn ovens and in 2002 with the acquisition of Buncher & Haseler, best known for its Longlife brand. The purchase of Samuel Groves by U Group Ltd in 2014 was the beginning of a new chapter, with the development of new products, utilising new materials all being manufactured at U Group’s premises in Yardley, Birmingham. 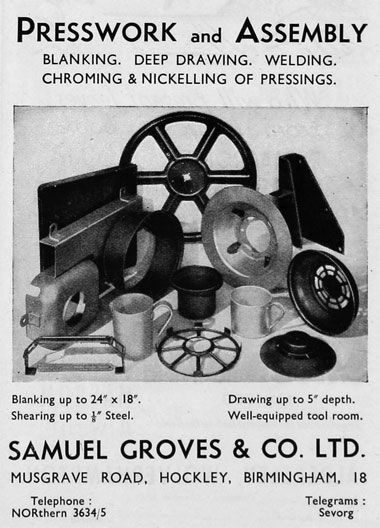 Samuel Groves encompasses all facets of manufacturing including Metal Cutting, Presswork, Metal Spinning, Welding, Fabrication and Injection Moulding in addition to which we are able to design and manufacture our own tooling in house. Henry Groves 1862-1936, third generation in the family firm was listed in the 1881 census as having the occupation of Metal Spinner, a process we still use at Samuel Groves today. Our expertise in design, manufacturing and production can be utilised to develop bespoke products using a variety of materials including aluminium, copper, stainless steel, mild steel and a range of plastics as well as numerous bonded materials. We can then finish your product using a variety of finishing processes including Polishing, Sunraying, Hard or Soft Anodising, Powder Coating, Enamelling and Non Stick Coating. 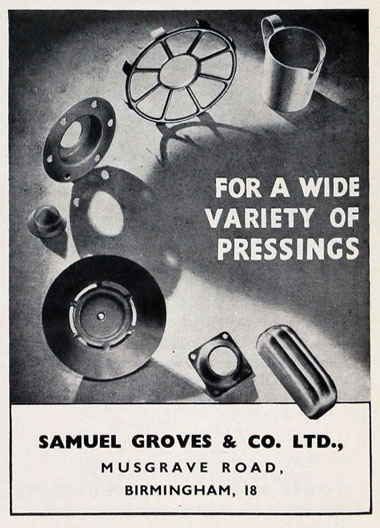 Product innovation has not, however, been at the expense of the company's traditional manufacturing ethos, Even though the market and indeed cooking practices have evolved over the years, Samuel Groves quality and processes have remained constant. We are traditional manufacturers and every product is still hand-finished. 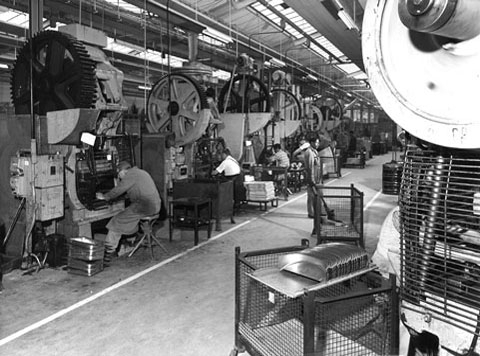 We have been a manufacturer in Birmingham for close to 200 years, some of the skills that will be used in the factory today will have been used all throughout those 200 years. Global interest in British Design and Manufacturing has never been higher and we now have a golden opportunity to capitalise on this and lay the foundations for another 200 years of manufacturing in Birmingham.